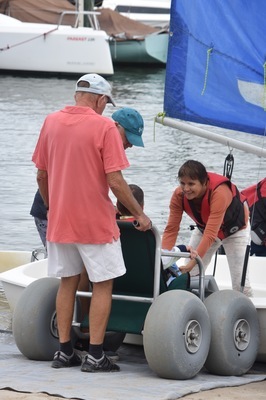 With the help of qualified sailing instructors and volunteers from the Noosa Yacht and Rowing Club, and funded by the Noosa Come Together Festival and the Yacht Club, a group of very excited sailors took to the water on Gympie Terrace, Noosaville for the second sailing adventure for the 2019 Sailability season . For some of them it’s a challenge just to climb into the sailing boats, but once on board their joy is palpable. 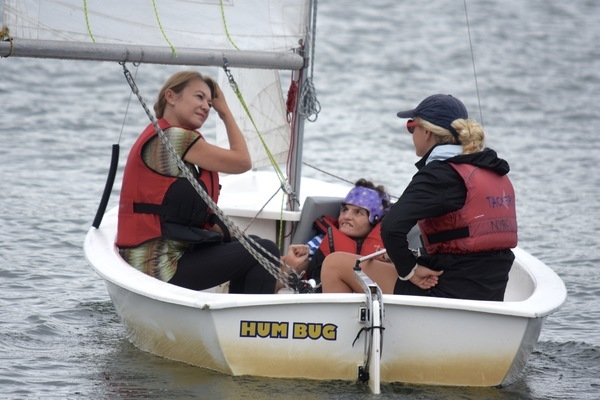 Whilst the Sailability program has been going for many years, it was at risk of folding in 2016 as funds had dried up and a new sponsor or donor could not be found. Oz Bayldon who had recently returned to Noosa made a commitment to keep the program running, and launched the Noosa Come Together Festival. The family friendly music festival and busking championship held at the Lion’s Park, Gympie Terrace will bring together a day of busking competitions on Saturday 8 June followed by all day family entertainment on Sunday 9 June. Each year the festival gets bigger and better, and this year the aim is to work closely with Sporting Wheelies and bring along some of their very talented sports teams to show off their skills. Over the history of the Noosa Come Together Festival almost $42,000 has been donated to fund recreational activities for locals with disabilities including the Disabled Surfer’s Association and Riding for the Disabled. Our small committee are out pounding the pavement again, asking retailers, restaurants, cooking schools, small home-based businesses, private individuals to donate to our silent auction. If you can donate we would love to hear from you. Visit www.noosacometogether.com, www.noosabuskingchampionship.com/ or visit on Facebook.